Experience the solace and beauty of Yellowstone National Park, a wonderland of unique geology and wildlife, an endless canvas of spectacular diverse landscapes and colorful thermal features. Yellowstone National Park, the world’s largest first national park, is located in Wyoming, Montana, and Idaho. You can explore craggy peaks, alpine lakes, deep canyons, and vast forests. Marvel at the incredible natural wonders in this wildlife preserve of over 2 million acres, home to 300 steaming geysers, over 290 waterfalls, the largest high-elevation lake in North America and the world’s largest petrified forest. Yellowstone National Park is made up of comprising lakes, canyons, rivers, forests, mudpots, colorful hot springs, and mountain ranges. Yellowstone is a testament to nature, a wildlife sanctuary where elk, bison, bears, and wolves roam free in their natural habitat. Whether you’re going on a bird watch hunt or observing the natural environment, you will be impressed with what Yellowstone has to offer. Enjoy daily hikes on some of Yellowstone’s most scenic trails. To explore Yellowstone’s wild side, get off the beaten path and into the park’s trail system. Escape the crowds and savor the beauty of Yellowstone on over 1,100 miles of hiking trails. Experience the most surreal sight in the park, the picturesque and colorful Grand Prismatic Spring, on a 5 mile round trip hike to Fairy Falls, a 197-foot-high waterfall cascading into a shallow pool. Explore Yellowstone National Park’s area from the seat of your bike! Mountain bike to the impressive Lone Star Geyser, where boiling water and steam rocket 45 feet high into the Wyoming sky. Travel by the seat of your bicycle rather than out the window of a vehicle to ensure an intimate experience with the outdoors. You can launch a boat or take a cruise to explore 139 miles of shoreline at Yellowstone Lake, the largest high-elevation lake in North America. Be sure to leave dry land and explore the rivers and lakes of Yellowstone. Try out the Boiling River as it’s one of the few places to swim. While enjoying the water, be sure to check out paddle boarding, fishing or even a boat cruise tour into Yellowstone National Park. Escape the shoreline in a kayak or canoe and start your exploration. Yellowstone Lake is known for their largest paddling ground. There are miles of prime rivers and streams which are open to fishing. Experience world-class fishing as you join the anglers in the remote wilderness in their search for native Cutthroat Trout, or head to Lewis Lake which is surrounded by spectacular views of the 10308-foot Mount Sheridan, tranquil inlets and beautiful bird-life. Visit the Lewis Channel, a 4-mile river channel connecting Lewis and Shoshone Lakes. Yellowstone is an extravaganza of over 10,000 thermal features geysers, hot springs, steam pools, bubbling mud pots and hissing fumaroles - A never ending display of natures wonders. Although not the tallest, the most famous is Old Faithful next to the Old Faithful Inn, a Yellowstone Landmark. The Boiling River flows into the Gardiner River and is one of the few places where you can swim in the park. Norris Geyser Basin is the hottest geyser basin in the park and home to the Steamboat, the world’s tallest active geyser. The Grand Canyon of Yellowstone, one of Yellowstone’s blockbuster attractions, boasts flame-red canyon walls carved out by the Yellowstone River, interrupted by tumbling waterfalls. You can view the park from the comfort of your own vehicle and take a rest on the side of the road to enjoy a picnic while enjoying the views that the park has to offer. Explore the magnitude and magnificence of Yellowstone on one of the many scenic drives throughout the Park. The 142-mile long Grand Loop Road curves through the Park with boardwalks and hiking trails to Yellowstone’s top attractions and features. The breath-taking Beartooth Highway is the most dramatic route into Yellowstone through the Absaroka-Beartooth Wilderness. Meander along the wild and scenic Chief Joseph Scenic Highway or twist through rugged canyons of alpine splendor on the Buffalo Bill Scenic Byway. The Gallatin Valley Route snakes through the valleys alongside the Gallatin River and the Paradise Valley Route follows the path of the winding Yellowstone River. Spot wildlife in the scenic Lamar Valley, a wide expansive valley, a perfect habitat and the best place in the park to watch bears, wolves, elk, bison and wolves. Don’t forget the different array of birds for bird watching. There’s an endless amount of uniquely stunning animals throughout Yellowstone National Park. Step back in time as you discover the history of Yellowstone National Park, home to over 900 historic buildings. Dating back to 1891, the Lake Yellowstone Hotel is the oldest building in the park set on the lakeside. Visit the Heritage and Research Center, home to the parks museum collection or stop by a paleontological site and hunt for rocks and dinosaur fossils. Yellowstone National Park offers lots of different ways to embrace the cold. Brave the cold in the winter months for a perfect winter wonderland, snowy landscapes, steaming geyser basins and fun winter activities. Explore the park on cross country skies, snowshoe or snowmobile as it’s the primary way of traveling the park during the Winter months. Winter’s white mantle offers an alluring backdrop against the open blue sky. Winter in the park delivers fascinating snowy landscapes along with the frosty animals. Experience the true heritage of the Wild West and cowboy country at a rodeo, an old west gunfight or a traditional powwow at an Indian Reservation. Venture into the heart of Yellowstone National Park on a journey that you’ll never forget from the stagecoach or horseback to build your very own wild west adventure. It is a fascinating and exhilarating experience that will make you appreciate the aesthetic wonders. Whether you are exploring Yellowstone on one of the many scenic byways, cruising the trails on a mountain bike or choose to wander off the beaten path and embrace the road less traveled, there are endless activities for each and every visitor. Visiting Yellowstone National Park is like stepping into a whole new world that has fun for everyone! Use our helpful guide to ensure you get the most out of your trip. Beehive Property Management welcomes you to the world’s first National Park, a true American destination of natural wonders. 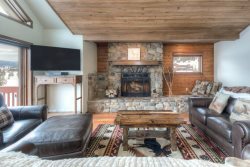 Find the perfect vacation rental to call home base while you explore the Wild West!